Are you looking for a fuel-efficient, affordable, and spacious hatchback around Merrillville or Michigan City? 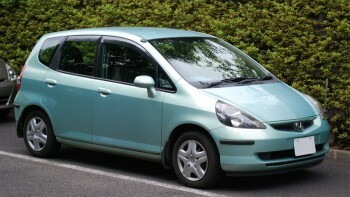 We have the answer: a used Honda Fit. While the Fit received some significant renovations for the 2015 model year, the fact is that it has always been one of the most popular vehicles here at Bosak Honda Michigan City. While the best way to know what you’ll find on a used Honda Fit is to look at the specific models we have in stock, we have a profile of some recent models to give you an idea of what to expect. While the technology features are appreciated for drivers looking to stay connected while they are on the road, the Magic Seat is one of the most beloved features, allowing you to easily expand the cargo area of your Fit within seconds. Recent models can even be a part of Honda’s Certified Pre-Owned program, which adds on warranty coverage and special financing offers to lightly used vehicles. If you see a CPO Fit in our used vehicle inventory, be sure to act quickly, as they are in high demand among Michigan City and Merrillville drivers. The fuel economy, the features, the spacious interior, and the fun-to-drive nature are all great reasons to drive a Fit, and the savings that come with a used Honda Fit make it even more attractive. Contact Bosak Honda Michigan City for more information on driving home a pre-owned Fit. *Based on 2013 EPA mileage ratings. Use for comparison purposes only. Your mileage will vary depending on how you drive and maintain your vehicle.